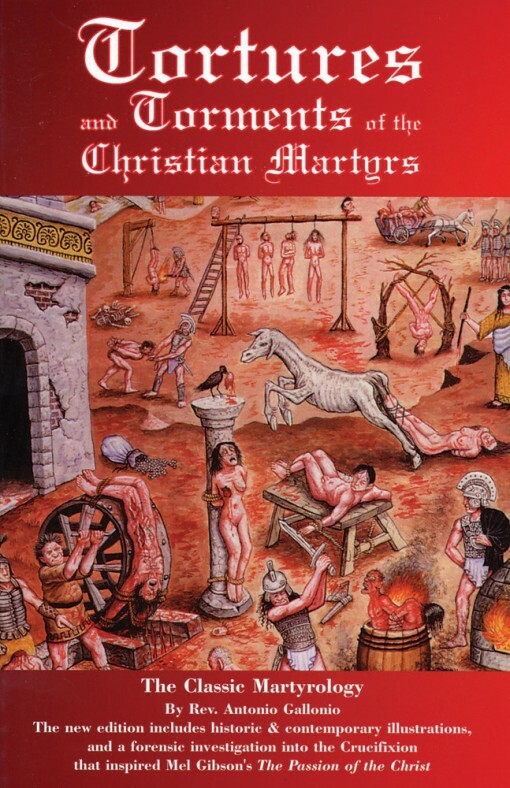 Feral House issued the gruesome Catholic martyrology, TORTURES AND TORMENTS OF THE CHRISTIAN MARTYRS, back in 1989. This irreverent release, complete with illustrations by contemporary artists and murderers, also contained a medical investigation into the Crucifixion (reprinted with permission from the Journal of the American Medical Association), a scholarly article evidently appropriated by none other than Mel Gibson for his bloody meditation on Jesus. In recognition of The Passion of The Christ, Feral House re-released the bloody martyrology, complete with “On the Physical Death of Jesus Christ,” the entirety of the 16th-century martyrology with its original engravings, combined with illustrations executed specifically for the Feral House edition by fine artists, underground cartoonists, tattoo artists and convicted murderers. Illustrations by Daniel Clowes, Joe Coleman, Raymond Pettibon, Gary Panter, Mark Mothersbaugh, Peter Bagge, S. Clay Wilson, Crispin Hellion Glover, Daniel Johnston, Georganne Deen, Steven Cerio, Nick Bougas, R.J. Connett, Kaz, Savage Pencil, Charles Schneider, J.T. Steiny, Deborah Valentine, Sarita Vendetta, Bill Ward, and murderers Charles Manson, Richard Ramirez and John Wayne Gacy.